Not only is Bernie Sanders a candidate for the US presidency; he’s also a folk music artist. Up to this point, Senator Bernie Sanders was mostly known for his political work. This changed once a reporter from newspaper Seven Days in Vermont uncovered Sanders’ folk music album from 1987. 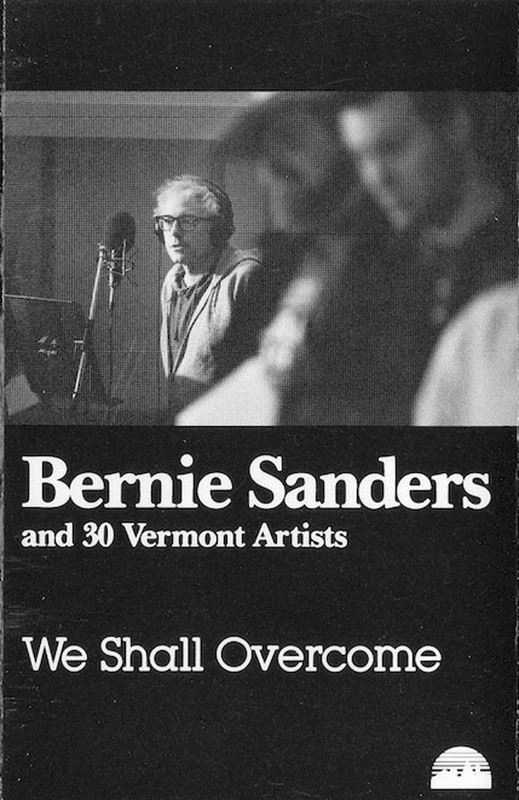 The five song EP named We Shall Overcome was recorded 30 years ago in the White Crow recording studio in Burlington, Vermont. It was re­released in 2014 to be sold worldwide. It comprises of Sander’s spoken word and the help of 30 local musicians from Vermont. While listening to this project, it is impossible not to distinguish Sanders’ famous Boston accent. He speaks powerfully and with confidence in each song. Even back then, his passion for freedom and peace was apparent. Interestingly enough, some of the lyrics correlate to his current campaign platform. For instance, in “The Banks of Marble,” he mentions that the rich are getting richer and the “poor are getting poorer,” which are things that he says to this day. The comparison is made between those who have worked hard their entire lives and those who “exploit that labor and end up with millions.” In “Where Have All the Flowers Gone,” he discusses warfare, saying the amount of people wounded or killed in both world wars so far, and he asks, “What will be the number after World War 3?” Despite its serious topic, it is the most upbeat song in the EP. The most well known song on the record is “This Land Is Your Land,” a cover of the Woody Guthrie song of the same name. In “Oh Freedom” he preaches about standing up to authority to achieve freedom. He mentions things such as Harriet Tubman and the underground railroad and the creation of workers’ unions. In the title track, Sanders addresses the Civil Rights movement while the chorus sings. Even though he considers it a “big mistake” on his part, he has a sense of humor about the emergence of this musical project. Despite the fact that Sanders is speaking over a track, the issues being addressed in these songs are important. Sales of the EP have not been spectacular, but that is not due to the quality of We Shall Overcome. Nonetheless, album sales are not a deal-breaker when it comes to elections and this might even work out in his favor in the end.